Lights, Camera, FASHION (magazine, that is)! Canada’s Fashion magazine boasts an entire page dedicated to the wonders of rms beauty in their April issue! 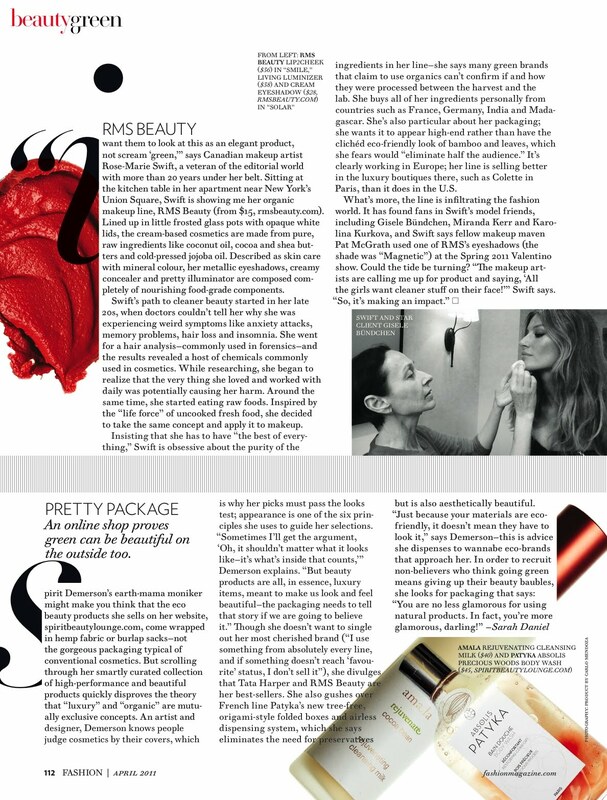 The article highlights Rose-Marie’s path to creating the rms line, as well as describing the unique, pure ingredients used in the making of each product. Going green never was so glamorous!